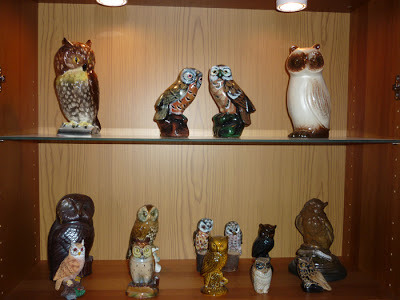 "Philosophy is the bird of wisdom, and the bird of wisdom is the owl. But the owl takes flight only towards the end of the day. Philosophy is the disclipline that comes after the day of knowledge, after the day of real-life experiments - when night falls"
This summer my lady Margaretha and I have, as ususal, visited Karlstad, the city of the Sun in local tradition and our common birthplace. 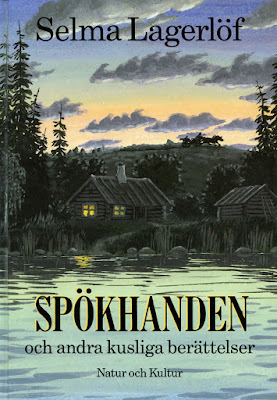 Karlstad is situated in Värmland which is the Swedish province par excellence of authors, poets, artists and mystics. Rich in folklore of fairies, trolls and paranormal experiences including many intriguing UFO encounters. 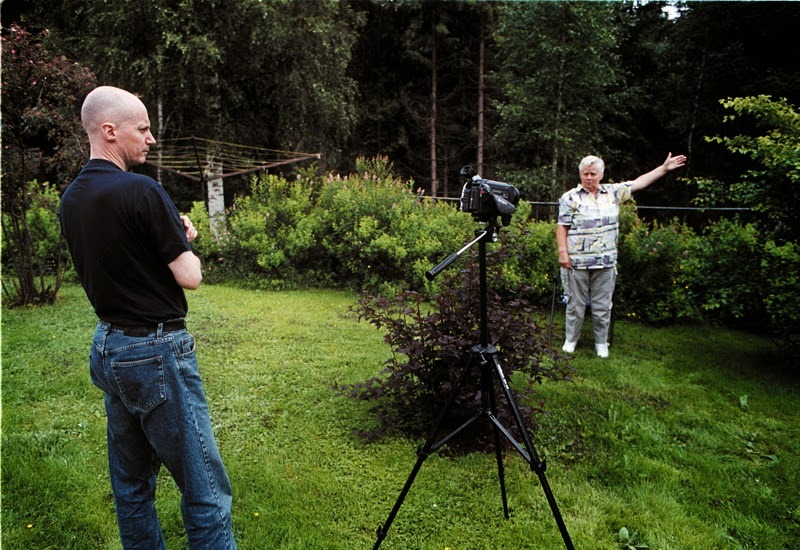 Several authors and artists from Värmland have also been inspired by the Esoteric Tradition. On the evening of October 10, 2010 a couple and their daughter were travelling by car near Glava, Värmland. 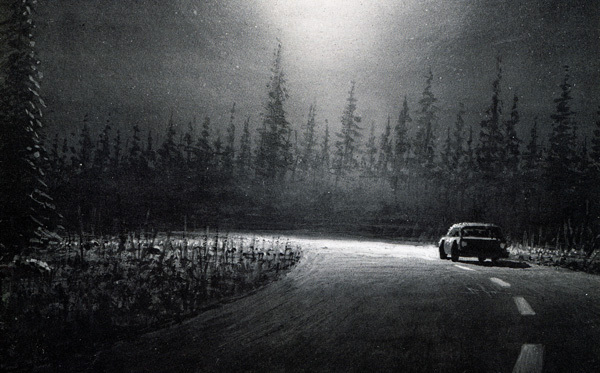 Suddenly a ball of fire appears along the road approaching at high speed straight towards the car. The object pass by just a few centimeters above the car roof. Then the passengers feel the car is lifted up in a sort of back flow when the object is passing. It then disappears behind a crest and all of the forest is illuminated. Värmland was also the scene of the very fascinating Arne Svensson close encounter in August 1943, which I documented in an earlier blog post. Especially interesting is that this observation, of a classic saucer with portholes, occurred before the UFO era. The witness told no one of his frightening experience at the time but wrote down the whole episode and kept the manuscript hidden in a drawer, revealing the full story to his brother Erik in the 1970s. Because of the extensive amount of interesting observations UFO-Sweden initiated two large scale field investigation projects in Värmland in 2002 and 2004. Many hitherto unknown close encounter cases were then investigated and documented. 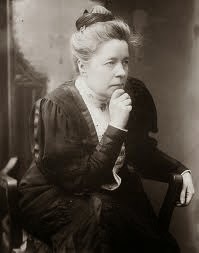 The world famous author Selma Lagerlöf (1858-1940), born at Mårbacka, Värmland, was awarded the Nobel Price in Literature 1909. 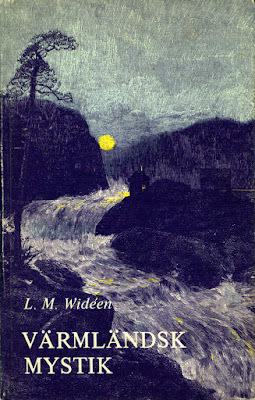 In her writings she was very much influenced by local folklore, personal paranormal experiences and the Esoteric Tradition. She read several books by Theosophist Annie Besant and corresponded with Swedish Theosophists. Ideas from esotericism abound in her fascinating novels. As a member of Selma Lagerlöf-Sällskapet (The Selma Lagerlöf Society) I hold her in very high esteem as the best and most fascinating author in Sweden. 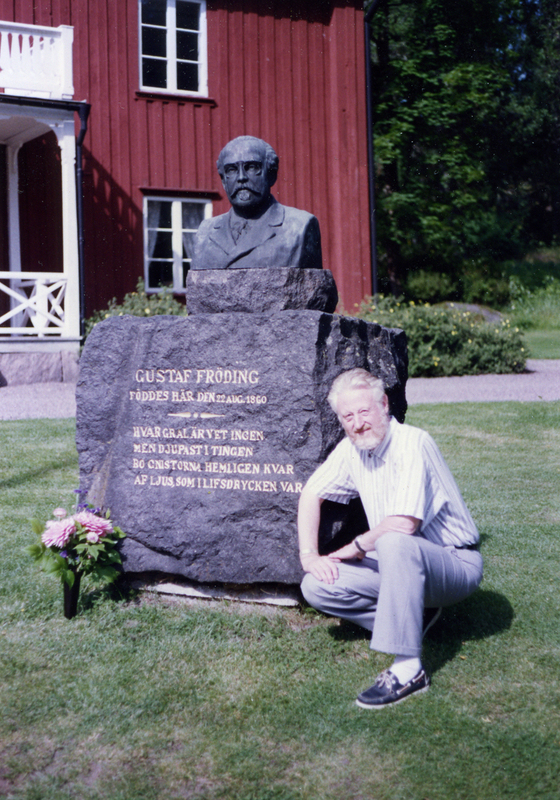 Another great author from Värmland, who made his literary debute during the same year as Selma Lagerlöf (1891), is poet Gustaf Fröding (1860-1911). Although he is most well known for his almost magical poetry Fröding was in his life- and worldview very much influenced by ideas from the Esoteric Tradition. This has been carefully researched and documented by Rolf and Anne Sohlheim from Arvika, Värmland and presented on their website. 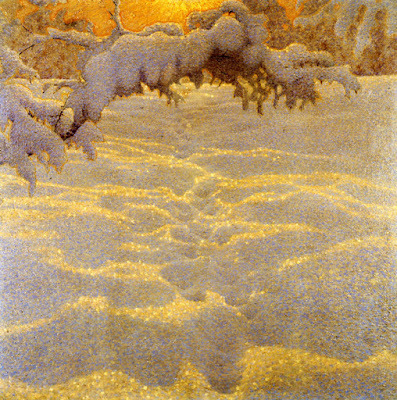 If esoteric philosophy is defined as an aspiration towards the good, the true and the beautiful then the art of Gustav Fjæstad (1868-1948) is an outstanding illustration of the ancient wisdom. There are many reproductions of his paintings found on the internet but nothing can compare with the experience of beholding an actual painting. Fjæstad´s creations are, in my opinion, real art - trancendent beauty and harmony. 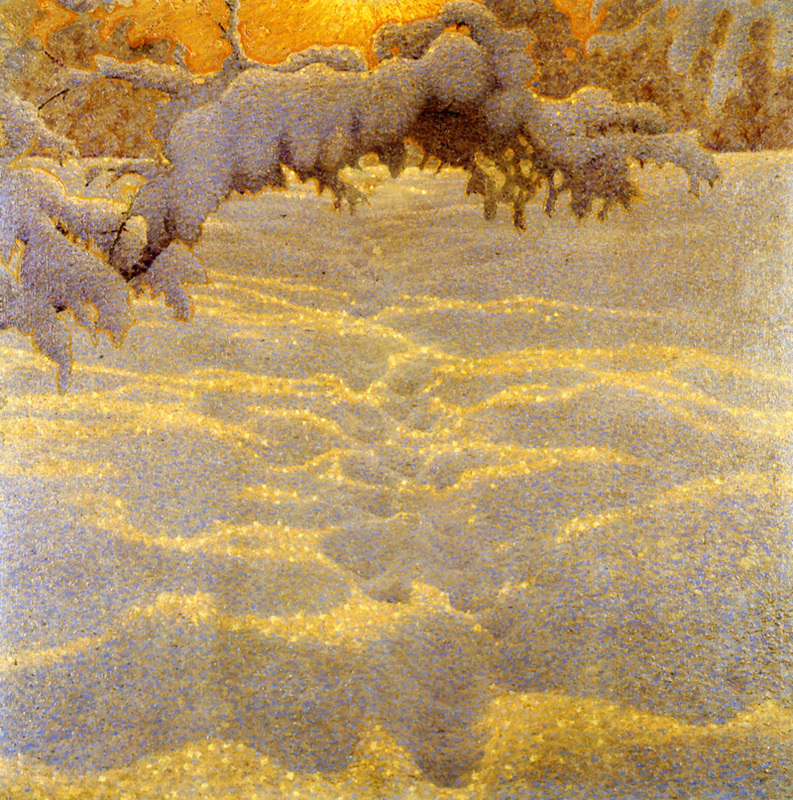 Both Gustav and his wife Maja were part of the Rackstad Colony of artists in Arvika, Värmland. A lodge of the Theosophical Society (Adyar) had been founded in Arvika by pharmacist Hjalmar Juhlin and in 1909 Gustaf Fjæstad and his wife Maja became members. Several artists from the Rackstad Colony joined this lodge. Gustaf was one of the most active members and often lectured on various aspects of the ancient wisdom. A great influence on the spiritual and new age scene in Sweden during the latter part of the 20th century was Sven Magnusson, born in Karlstad, Värmland in 1930. 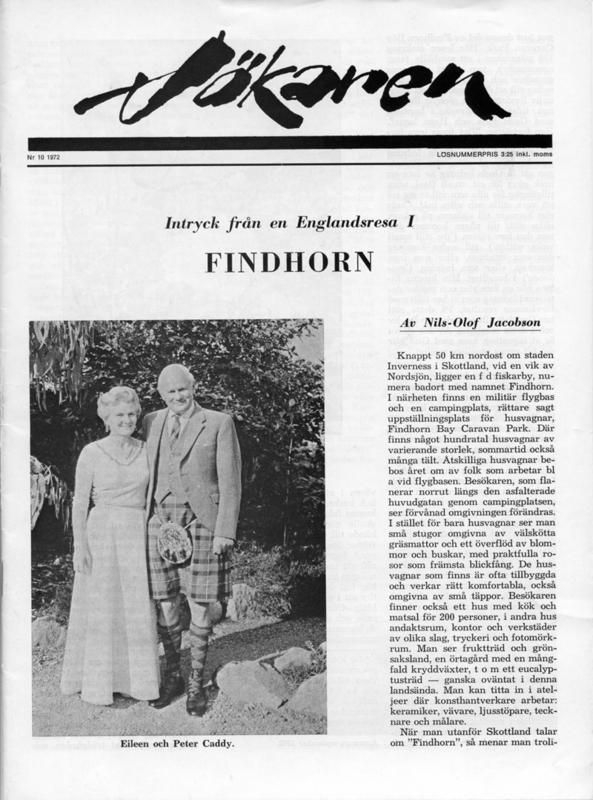 Between 1964 and until his death in 2008 he was editor of the high quality magazine Sökaren (The Seeker). The magazine succeeded in recruiting many of the best writers on philosophy, religion, parapsychology, new age, UFOs and also authors from the mainstream cultural elite like Alf Ahlberg and Werner Aspenström. 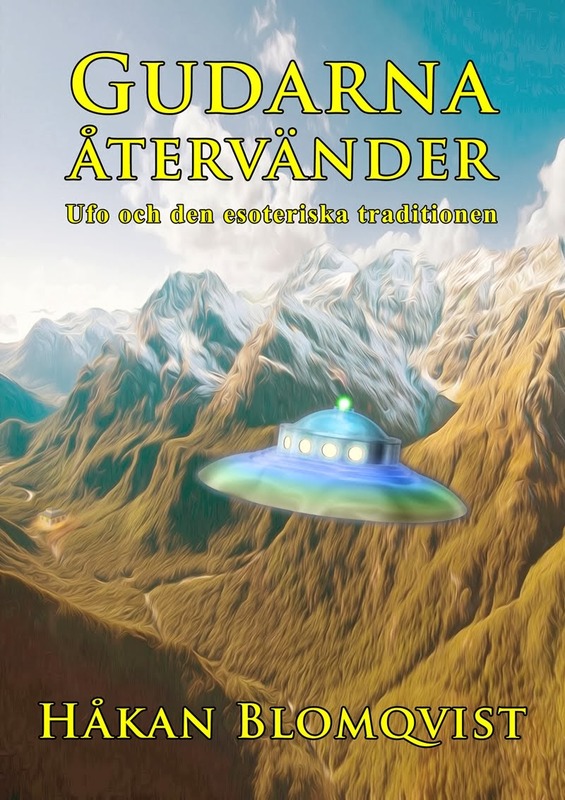 Besides his work as editor of Sökaren he wrote several books on new religious movements and one book on the UFO enigma. Sven Magnusson was both critical and open minded with deep insights into alternative spiritual movements. 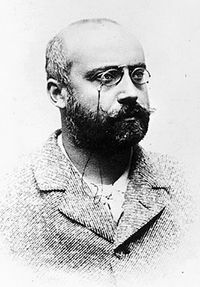 Although he didn´t define himself as an esotericist he often wrote about Theosophy and The Ancient Wisdom. His personal worldview was a combination of agnosticism and Vedanta mysticism. He became a well known cultural profile in his hometown Karlstad, often portrayed in the local papers. Another connection between Värmland and the Esoteric Tradition is Theosophist Göran Söderqvist with his home at Värmlands Nysäter. Göran is board member of the Swedish Theosophical Society (Adyar), the society archivist and he has donated a large amount of books and magazines on Theosophy to AFU. Between 1907-1938 the hardline, conservative Johan Alfred Eklund was bishop in Karlstad. Värmland was definitely not his favourite province in Sweden. He found it very difficult to understand the local mentality and mystical traditions. In a famous quote he lamented: "Half the population are poets and the other half are myth makers". Personally I am proud and honored to have been born in the city of the Sun, Karlstad, in the province of poets, authors, artists, mystics and esotericists.